Q: How did you come up with the idea for Flight Control Technology? Tour pros constantly ask to have their equipment tweaked to fine-tune it to their swings. For years our tour technicians have been bending metalwoods for tour pros, opening the face a degree here, taking a degree of loft off there. We realized the average player could benefit from the same thing, but how? It became obvious that if we could find a way to allow the player to easily adjust face angle, loft and lie angle that we'd be onto something. That's how we got started on developing FCT. We also realized that combining FCT with our Movable Weight Technology would make the driver even more adjustable, and that's how we arrived at the R9 driver. Q: Are there any plans for a combo mb/cb forged set similar to the racs circa 2004? There are no plans right now for a combo set, but our creation philosophy is to deliver maximum performance for each iron based on what golfers want. That’s also what a “combo set” tries to do. We just think we have a better way of doing it right now. Q: I know that Kia Ma has been behind the scenes at TM for a long time, is his signature line going to be a recurring line in the premium market? Kia Ma putters will remain a staple in our equipment line for years to come. Q: With all the desire for black finishes or black nickel finishes on irons like the Smokes, why isn't it more common as well as a satin finish that the tour players prefer? Perhaps as a custom option? Our smoke TP wedges have been very popular in the market as well as on Tour. But golfers like all kinds of different finishes. We’ll definitely change up ours from time to time to keep our wedges fresh. Q: How has the recession affected your business? Like everybody, we've faced a lot of challenges in today's economy. Fortunately the R9 and R9 460 drivers and the Burner irons have been the best-selling drivers and irons in the market. We have the two top-selling drivers in R9 and Burner, the two top-selling fairways with the R9 and Burner, and the best-selling iron in Burner. We have our highest market shares in history in metalwoods and irons right now. That proves that even in a softer marketplace golfers want to buy and play the best technology that delivers the most performance. Q: Are the TM Major Headcovers available to the public? Not currently, though we may go back to selling them in the future. Q: There has been considerable "buzz" about a new TP golf ball. When will we see it in the real world? Stay tuned, we've got something special in store that we'll be introducing soon. It’s actually a poorly kept secret since Sergio and Retief tested the ball back in June and both raved about the ball to whoever would listen. Bottom line: We are in the final stages of tour testing. Consumers might see one at a tour event soon. Q: Has or will TaylorMade experiment with new technologies such as chemical welds, combo brazing, and use of multi-materials i.e. titanium. Using technologies like MWT and Ultra-Thin Wall casting allows us to cast our structures much thinner than our competitors are capable of; this allows us to deliver a level of performance superior to the methods that you mentioned. Q: How can you brag so much about being the No. 1 driver on tour when you pay so many players to play your clubs? Paying tour pros endorsement fees to play equipment is an arena that all club and ball companies participate in. We live in a time where few pros will play a club or ball if he isn't getting paid to do so. Some players make exceptions for a single fairway wood, or hybrid, or a wedge or putter, but nearly all are paid a fee for the driver and irons they play. The pay-for-play system actually works against us, because we believe that if tour pros weren't allowed to receive a fee for the clubs they play that even more would choose to play TaylorMade, and our counts would go up in every club category, including ball and putter. Q: I purchased new Burner Irons in April, they are great but the cavity backs are rusting really bad under the badge and on the following edge. Is there a problem with this happening? No, there isn't a problem with Burner irons rusting. If you bought them in April your clubs are still under warranty. If there's an obvious quality issue you can bring them back to the place you purchased them; they'll return them to us and if appropriate you'll receive a new set under our warranty program. Q: We all know it is coming, so when will the R9 460 with movable weight be out? It sounds simple, but creating a 460 cc driver with MWT and FCT is a very intense technical challenge. It is more complicated than adding two additional weights to the existing R9 460. When we went to r7 to r7 SuperQuad, the process took three years. Q: With all of the attention given to Tigers 380cc driver any chance for a rerelease of the 390cc R510 tp. Like the retro tour spoon a few years ago. We led the charge this year with a return to more compact driver heads with the launch of the R9, which is 420cc. We have no plans to go smaller than that, though. It's important to call out the fact that our TP product is the same product that's played on Tour. Occasionally, we make product with slight alterations available for Tour only, including irons with less offset and drivers with different CG locations. But the technologies are exactly the same. We don't have any plans to make the personalized product we make for Tour generally available, just because there's really not a big demand for them outside of places like Golfwrx. Q: Also can you put to rest the stories about MIURA not forging any irons for TM since 2004/2005. Are PGA players still getting theirirons engineered by TM but Forged by Miura? You're correct, we haven’t had any Miura forged irons in about five years. We believe that our soft metal casting processes provide all the feel benefits of forging while delivering a lot more performance than a forging affords. Q: When you say Tour Preferred are you talking R7 or the Burner TP's or the TOUR ONLY B Heads? Q: If I could just get one question asked this is it! Will the irons that Greg Norman, Fred Funk, Sergio to name a few The TM Burner TP "B" heads ever be released to retail? Not sure we understand the question, do you mean the Tour Preferred B irons? If so, we have no plans to release that, nor do we have plans to release a Burner Tour head. Q: What are the factory tolerances on true club head loft versus printed loft? Factory tolerances for woods are typically plus or minus 1 degree unless additional processes (which adds to cost) are included to reduce this tolerance to plus or minus 0.5 degree, which is what we do like we with our TP metalwoods. The tolerance for irons is plus or minus 0.5 degree. Q: Is TM concerned at all with flooding the market with too many different products? It seems to be working for you all now, but has there been any backlash from the non-fanboys about how much turnover there is in your product? A similar question was asked and answered elsewhere in this chat. Q: What is TM doing to improve the number of minorities playing golf? A: We feel the best way for us to foster the growth of golf among all people, not just minorities, is supporting organizations whose focus it is to do that, like First Tee and the PGA of America. Q: Blondes, brunettes or redheads? All three if they're fans of our equipment. Q: Is TM/AG looking to capitalize on the down economy and acquire any stand alone equipment companies in the near future? We acquired Ashworth last year because it's an iconic, authentic golf brand that fits in well with our current brands and the marketplace. At this point we're focusing on growing TaylorMade, adidas Golf and Ashworth. Q: i keep hearing about a new forged iron set for players coming soone,, can you tell me more specifics?? even heard faldo is designing them. We don’t have plans for a new global forging, however we do have a new forging coming in Japan. Q: so if the r9 460 is so awesome and now the #1 driver on the pga tour,, why would you tease us loyal tm supporters with the r9 420?? the 460 came out just months after the release of the first r9.. The R9 and the R9 460 drivers are aimed at two totally different players. The R9 is 420cc, has moveable weight, and launches the ball lower. The R9 460 has a high MOI head, a longer and lighter shaft and is higher launching. Q: i keep hearing of a new forged players iron due out soon.. can you tell us more details about them? is it similar to the 2005's or the japan tp forged for 2009?? is it true that faldo himself is designing them?? will they have the option for grooves conforming for us amateurs?? Yes, we've got a new forging coming out in Japan. Nick Faldo has provided a great deal of input regarding their shape and how the top-line and clubface blend into the hosel, which he feels is critical to the player's confidence. Q: re: fct,, maybe a stupid question,, but whats the difference if one just opens or closes their "fixed" driver at address?? First, the FCT sleeve allows you to precisely adjust the face angle by open or closed by one or two degrees. It's impossible to position your hands as precisely on every swing. Second, suppose that you grip the club neutrally and when you swing normally you drive the ball straight with a normal trajectory. When you rotate your hands, you have the same club in your hand, just with an open face and higher loft. When you return the clubface to the ball at impact with your hands in the pre-set open position you'll launch the ball high and right, but that requires you to block your release. On the other hand, when you open the FCT sleeve you rotate the head relative to the shaft axis, which is like bending the hosel and giving you a different club. That allows you to grip the club with your hands in their normal, neutral position. When you return the clubface to the ball at impact, you can release the club normally and launch the ball with a fade. So, the idea with FCT is to change the club, not any aspect of your swing. Once you've adjusted the FCT you can swing normally to achieve different trajectories instead of changing any aspect of your swing. Q: i have heard rumors of a wedge with interchangable face plate is that true? We love the rumors. Sometimes they're way off base and sometimes they're pretty accurate. Sorry about that. This chat was a first for us and we were a little overwhelmed. We had more than a hundred questions we were trying to answer in a short amount of time. We tried to answer the ones we felt were the most common to please the most people. We didn’t get to as many of the product specific questions, which we will answer now that we have time to do so. Perhaps. We’ll be finalizing our line of Kia Ma TP Classics for 2010 during the next few months. Q: Will TM be coming out with any true forged blade irons for the public? Q: Is Taylormade ever planning to realase another all black clubhead like the Superquad? It's possible. The r7 SuperQuad was one of the best looking metalwoods we’ve ever created, that’s for sure. Q: Questions seem to be coming awfully slow. I'll follow up with another, what about offering shafts with the fct for the r9 series, instead of all of us having shafts made for these. We considered doing that during the development of the R9, and it's still a possibility. Right now we feel our TP shaft offering covers 99% of the market from a performance standpoint. Yes, there are personal shaft brand preferences that we don’t offer directly. Golfers still need to go through their clubfitters or retailers to get those. Q: I used to be a BIG Taylormade driver fan. I played the R510 Tour and the R540XD Tour for many years, but the sound and feel of the new TM drivers with MWT leaves me very dissatisfied. Will TM be developing "old-fashioned" drivers that do not have MWT? Or will TM be bringing out drivers that have the feel of the old R510 etc.? First, sorry to hear that you don’t like the way our drivers sound. Our research shows that we have the best sounding drivers on the market, but of course sound and feel are a matter of personal preference. Since you don't like the sound of drivers without MWT, have you tried the R9 460 or the Burner 2009, neither of which incorporate that technology? Q: For those of us who see MWT as a gimmick to fix swing flaws, what are our choices if we don't want MWT and prefer the sound and feel of the older TM drivers like the R510? Sorry to disagree, but we think you're wrong about MWT being a gimmick to fix swing flaws. It's an easy way to customize the club's CG location to maximize your launch conditions. Hundreds of tour pros use it faithfully. That said, you can always configure the weights into a neutral setting if you want and leave it that way. And if it's a sound and feel issue, we offer drivers like the R9 460 and Burner 2009 that don't have MWT. Q: How does TM feel about the coming groove rule? Is there concern about resale value of "non-conforming" clubs in the future? A: We have tremendous respect for the USGA and its role in protecting the integrity of the game. We may not always agree with the USGA's equipment-related rules, but we support them. “Old grooves” can be used by 99% of the golfers on the planet up to 2024. Equipment manufacturers have to stop producing irons and wedges with old grooves after December 31 of this year, but products with old grooves can continue to be sold until the end of 2010. Given all of the above, we aren't concerned about the resale value of "non-conforming" irons. Q: The sound is not working. It just keeps saying "The webinar will begin shortly. Please remain on the line." We turned off the sound because our Chief Technical Officer, Benoit Vincent is French, and nobody can understand his accent. We had the sound on for our interview with GolfWrx France…just kidding. Q: Will any of the current or past irons conform with the groove rule change for 2010? Which ones? All our current or past irons and wedges can be used by 99% of golfers who do not play on PGA Tour up to 2024. For players who have to play grooves that conform to the new rule next year (like Tour pros) or any other player who wants to play equipment that conforms to the new rule, all forthcoming TaylorMade irons and wedges will be equipped with new, conforming grooves. Q: Everyone is insisting that there is an R9 460 with movable weights ready to be released and that TM is holding off on purpose. Is there one coming? Q: Will we see a Burner with FCT in the near future? No plans right now, but we’re always considering differing technology packages for the future, so never say never. Q: who is forging your irons, is it miura? Q: Any new blades coming out this year ? No plans for a new blade. The blade in our iron lineup continues to be the TP Smoke MB. Don't know where you heard that, but in fact more tour pros play the Tour Preferred irons that are available commercially. The "tour" version of the Tour Preferred irons are similar to the commercially available irons, and are part of a family of Tour Preferred irons and other products. Q: How dominate are you on the amature circuit where you don't "pay to play" ? TaylorMade products are very well received and played by top amateurs around the world. Q: Why the fast product cycle? Q: Is there any way to order a kia ma putter with the steel insert? The only way is to come to Carlsbad and go through our Kingdom fitting experience, then you can get any kind of Kia Ma putter you want. But there are no other ways to order that kind of custom Kia Ma putter. Q: We are seeing more and more companies use carbon fiber, and such other "known" forms. will TM start using these in there next series of drivers and irons? We've never tried to work a certain material into our clubs because it happens to be a trend among other manufacturers. Performance improvement is what drives us. If a material helps us achieve a performance objective we use it, otherwise we don't. So far we haven't found that using carbon fiber in a driver delivers a performance advantage over our Ultra-Thin Wall titanium wall technology, which allows us to save weight and to anchor our movable weights in strategic locations within the head. The white R9 torque wrench does give you notice when you've tightened the FCT **** fully, it emits a loud click. There's a mechanical device inside the wrench that limits the amount of torque so you don't over-tighten the ****, and when you've reached maximum torque you hear and feel the click. It's like the gas cap on a car, which also emits a loud click when you achieve maximum torque. You can keep rotating the R9 wrench and make it click over and over, but that won't increase the torque on the ****. Q: what can you tell us about the upcoming Burner Forged Irons that are set to release? What type of player are they geared towards? Those are Japan-only releases and are geared toward the type of player who plays Burner irons. Q: Much new in putters? This year we launched the Spider Balero, which has been the No. 1 selling model in Japan for some time and was just recently released in the U.S. We have new putters coming in spring 2010. Q: when is the next spider coming out? 2010. Most likely in the spring. Q: So when are newer models of the tp line putters scheduled to come out for? Q: What forged iron sets do you all have coming out? Q: Will we see a TP Forged Iron (Europe, Japan) avialble in the U.S.? Isn't it time? Q: With all due respect about the r9 and MWT . . . We all know the r9 Max exists. Why not release this or develop the MWT for the r9 460 from the beginning. Any Formula One engineer will tell you making changes quicker is easier than ever. Q: Unlike most OEMs who have annual release dates, you seem to have different release dates for each line and/or category. What isyour philosophy behind this? Q: will you offer individual sales of FCT shafts? Q: Seems to me TM comes out with new lines more often than other oem's. How much of this is tangible performance upgrades vs. marketing/profit reasons? We don’t launch any product unless we know it will give the golfer a definitive upgrade in performance. Q: What's the "next big thing" in driver technology? Iron technology? Sorry, we don't want to answer that question here, but you've seen during the past two decades that the “next big thing” shows up faster and faster. That's because we have more modern tools to help us study performance, discover new technologies and find ways to implement them into clubs. Q: How has the new groove rule effected your line up, if at all and when do you forsee your conforming wedges for 2010 hitting the market? The new rule has affected our future lineup in that any new irons and wedges we manufacture after December 31 have to have the new conforming groove, and we're fully ready for that. Q: Will TM every allow consumers to purchase EXTRA shafts for clubs like the R9 Drvier/Fairway woods and Rescue 09 TP? Sell us components after we buy the clubs. Q: Why does Taylor Made routinely get hammered by the golfing public about releasing too much NEW product over the course of a year? Q: What are your comments on the technologies seen in the Hammer Drivers by Jack Hamm and why doesn't TaylorMade capitalize on these trend setting technologies? Q: Loctite is the blue putty that keeps the screws locked in tighter. Do you warranty clubs that have their threads stripped by the user? Given the knowledge that the r9 wrench has 40 lbs of torque and the r7 wrench has 30 lbs, Loctite would be a solution to loose screws, correct? Or is there a better way? We offer two types of weights for our clubs. The first type are weights that the golfer can move using the torque wrench (30 or 40 lbs), such as the movable weights used in the r7 and R9 drivers. You don't need Loctite to lock our movable weights into place because the wrench delivers the torque necessary to tighten the weight enough to secure it in the MWT port. The second type of weight that we use in our metalwoods aren't movable. We call them TPS screws and they're used in metalwoods without MWT like the R9 460 and Burner 2009. TPS screws are used to precisely adjust the club's swingweight during production. Q: Why do my moveable weights all weigh consisently .2 grams over or under thier designated weights. ie. 12 is 12.2 every time. 300 Dollar Ohaus Scale is being used. We produce weights with a tolerance below 5%, which is a standard level of tolerance. That means that 100% of our 12g movable weights will weigh 12g plus-or-minus 0.6g. Because only outliers weigh at the extreme of the range, most of our weights are within plus-or-minus 0.2g. Q: Many golf retail shops sell your products, are you concerned that a high number of their employees incorrectly inform the public about how your technology works? We want to make sure the public receives as much accurate information about our brand and products as possible. We invest a lot of time, effort and money every year in retail training and education about our products. We also encourage people to visit taylormadegolf.com for in-depth information about every club and ball we currently offer. Q: Does TaylorMade-Adidas have a collegiate program where student athletes can order through a special deparment? None yet, but we're definitely looking into doing it in the near future. Q: Why do your iron cavity graphics look like they came straight from a Sonic the Hedgehog video game. The 2nd Level to be exact. Which version of Sonic? We don’t think they look like the earlier versions at all. Maybe the later, more modern versions perhaps. But much like Sonic the Hedgehog, everything has a purpose. So while some may look at Sonic’s spinning cartwheel moves as just showmanship or pizzazz, he gets the job done. Similarly, our badges, while designed to appeal a certain way visually, have performance advantages that are undeniable. Q: Is there any way to restore the black paint/plating that comes on the SuperQuad drivers? No, there's no easy way. Q: Is Moveable Weight Technology meant to correct the golf swing flaws, or is it meant to be an adjustment factor within a consistent golf swing? Both. It can help you fade the ball if you fight a hook, or draw the ball if you fight a slice. You can also fine-tune your launch conditions to help you launch the ball higher or lower or bring your spin-rate up or down. Q: Why can't you make a ball that feels almost identical to a Pro-V1. Is it really that hard? Because our Tour Staff pros prefer the feel of our TP Red and TP Black. Q: Why do you think Nike Golf, a new OEM to the golf world, has seen quite a few major victories, less Tiger Woods, in the last 3 years. They have some talented players who we think they would win even more if they played TaylorMade products. Q: With the clothes trend going to a more tighter look, is it safe to say that clubs will begin to garner a fashion statement as well? Design and visual appeal have always played an important role in golf equipment. We spend a lot of time on it and have one of the best design groups in any industry, thus it’s something we believe strongly in. Q: Is it safe to use blue **** putty on the movable weights? There's no reason to because a TaylorMade torque wrench, either a white, yellow or red one, delivers the correct amount of torque to secure a movable weight into an MWT port. We would recommend that you not use external materials with MWT technology. Q: Given the fact that Jack Nicklaus could hit a persimmon wood 300 yds. Why the need for new technology? So more people can hit the ball 300 yards! Q: How do measure your putters? Up the back or down the shaft line? There is a discrepancy here with some OEMs. Q: Why is adjustability good for the average golfer, who generally can't hit the ball more than 220 off the tee. The technology seems like overkill sometimes? We offer clubs with adjustability and clubs without adjustability to address different needs. The average golfer, who's typically not accurate off the tee, can benefit from adjustability in a club like the R9 driver, which promotes up to 75 yards of side-to-side trajectory change. This wide range of adjustment should help him soften and straighten his typical miss, be it a slice or a hook. Q: Are the Forged Burner Irons going to be produced for USA retail? Sorry, they're only available in Asia. Q: Also what can you tell us about the new R9 TP irons and are they cast or forged and is there anew technology other than cone used in them? We’ll reveal that in the next few months. Q: I have noticed Furyk has used the R9/Oban alot this year. Will Oban shafts be available through TM anytime soon? We work with all the world's top shaft vendors to select models that we believe deliver the right performance for our golf clubs and which are in demand by the most golfers. Q: How do TP shafts differ from the aftermarket versions, or are they the same? They're generally the same, only the graphics are different. Q: Why does the JDM market get a new forged iron every year, but the US market does not? In Japan, 30% of the demand is for forged irons; the demand isn't nearly that high in the U.S.
Q: Has the new groove rule caused much challenge for TM and what are your plans to maximize spin performance for wdges? We can't reveal that yet, but you'll find out soon. Remember, though, that you can buy irons and wedges with the old grooves throughout 2010 (while supplies last) and play them until 2024. Unless you're competing on tour, that is. Q: Are the "tour issue" serial number driver heads available on the net different than the off the shelf models? Most tour heads available on the net are the same as shelf models. They're serialized because we measure them and keep log of their characteristics. Q: With the success of MWT, why are there clubs with immovable weights (brass weights, rear weights) like the r9 hybrid? We use fixed weights (which we call TPS screws) as a means to precisely set swingweight during production. Movable Weight Technology delivers significant performance when the weights are spread apart, which is it works so well in drivers, given the larger size of a driver's head. In smaller metalwoods, such as the Rescue 2009 hybrid, the effect of movable weight may not be enough to justify the additional cost of incorporating it. Q: The r9 TP has supplanted my previous 2 year gamer. I never thought that could happen! Is there any truth to the idea that the r9 460 is hotter or are they just different strokes for different folks? Well, it’s not “hotter.” but it’s likely you have found a great fitting head to your game and have been able to use the FCT system to truly optimize your performance. Q: What is currently being done to combat the USGA groove "rollback"? We wouldn't call it combat, but we sent letters to the USGA with our feedback more than a year ago, after the rule was proposed. When the USGA made it clear they would institute the rule, we accepted it and moved on. Q: WIth grooves being regulated by the USGA, will we see a new technology from TM to increase spin off irons and wedges? The new grooves' influence on spin affects mainly wedges and short-irons; its impact on spin off the other irons is very limited. To answer your question, yes, we'll continue to search for ways to improve spin and performance in the short game within the USGA's rules. Q: Are there anyplans to make additional R9 models? Q: With the new rulings regarding groove depth and definition taking effect in January 2010, what could we expect from your company to satisfy the rule asjustments and still keep the performance to a high degree? Our R&D department has already invested a lot of energy and resources into designing a new groove that conforms to the USGA's new rule and which promotes the maximum spin allowable. Q: I don't know if this has been asked since I arrived a little late, but with the new USGA and R&A Rules regarding wedge groove depth and definition for 2010 taking effect as of the first of this year. What can we expect from your company in regards to wedge offerings to abide by the rule adjustments? Remember, if you aren't a tour professional you can play equipment with "old grooves" until 2024. If you are a tour professional, we'll provide you with irons and wedges with grooves that conform to the new rule this coming fall. Q: Will TM continue to have fast product cycles with a large number of new drivers (for example) coming to market each year, or will that change with the current economic factors keeping people out of stores and in equipment that isn't the newest/best? We will continue to develop and launch the best-performing clubs when we've come up with something that we think offers a significant performance advantage. Q: With all the talk about the value of forged "feel" for better players, any thoughts on bringing out a forged wedge line? We don’t think that forging per se delivers the best feel, so we develop products using a variety of methods, materials and technologies that deliver what we think is the best feel of any wedge in golf. Q: Will you ever offer Major Championship headcovers for retail sale like you do for the bags? Q: Are you going to offer aftermarket shafts for the R9 in the same fashion as the callaway imix? Q: Is TM satisfied w/ the positive response to the Kia Ma designs? Absolutely. We believe Kia Ma putters offer the finest combination of beautiful design, keen feel and great performance in the world. Q: How about the Kia Ma in Diff colors i.e. satin ? We talked about movable weight in irons in an earlier question. Q: Will TM ever offer more custom grinds on their wedges? Similar to the Callaway C-Grind or Titleist M grind? Q: Will the R9 custom shafts be available for purchase by themselves? Or will you always have to buy it with along with the head? 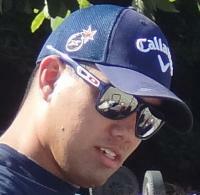 Q: I saw a winn grip on a Kia Ma putter at the U.S. Open at Torrey Pines last year. The grip has waving/dancing U.S. Flags on it. Any idea where to get one of those grips? Q: Which Taylormade iron is the most popular on the PGA tour? Currently it's the Tour Preferred. Q: With regard to the R9 460 TP, which shafts proved to have the longest distance in the Taylormade testing? We stay away from that kind of testing because we think shaft performance is really dependent on the player and not robot testing. Get fit and we’re confident the TP shafts we offer will help you hit the ball longer and more consistently. Q: Why does taylor made offer so many forged irons to the japanense market and the U.S. sees so little? Q: What is the Max swing weight for taylormade custom ordered irons? That depends on the iron model, the shaft composition (steel or graphite) and the club's length. Q: How/who comes up with the bag designs for the majors? We have our own in-house design team that designs our tour bags and our special edition major championship logos. Q: Is there any chances to see some Asia/Japan only offering like the forged version of the Tour Preferred irons? Q: Are there currently any job openings within Taylormade? Q: Will we see any new forged irons in the near future? Q: Are there any differences between the R7 Limited and R9 heads? Shape-wise, the r7 Limited's head is more triangular compared to the R9. Technology-wise, both incorporate Movable Weight Technology and Inverted Cone Technology, however the R9 has Flight Control Technology while the r7 Limited doesn't. Q: Is there any possibility of Taylormade offering a LH blade? Kind of bland responses. Unfortunately it feels like I'm reading customer service responses, very generically themed. The TM ball guy (sorry forgot his name - Dean?) did such a great job with the technical questions. I guess I expected more. I often wonder myself why TM pushes cast technology so much when so many of their top ball strikers only use forgings. I see a lot of 'this question has been answered' generic responses to most of the forging questions, but that's not true. Most were not truly answered. I know a lot of the guys are still using the TM forge blade. It also seems when they want to give the illusion players are using the Tour Preferred iron, they instead make a special forged version of it that mimics the cavity design of the cast version. Why is this? Why if TM believes that they can do superior things with casting, do so many of the top ball strikers use forgings? Or modified 'cast models' that are forged? I don't think that's a bad question to ask. I genuinely want to know. I genuinely think a lot of the GolfWRX community would love the opportunity to buy these clubs rather than their cast counterparts. r9 is junk...ive played taylormade drivers all my life. superquad was the best theyve ever put out, r9 was just disapointing. I disagree. Both the R9 heads are money IMO. The TM 460 is so straight I wonder how they do it. I didnt think they could with all of the weight being moved around to create options, but the heads perform great and you can tweak the favorite shaft set up from the R9 to the R9 460 heads. Just my opinion. As you can see. Whomever was moderating the webinar did an absolutely HORRIBLE job. How many of the above questions were answered with "A similar question was asked and answered elsewhere in this chat"??? For each time a question was answered "A similar question was asked and answered elsewhere in this chat" a REAL question could have been asked. Imo, it certainly was not a waste of time as alot of great questions were anwered. I think they wanted to get in as many questions as they could, the time frame was limited...atleast they gave an answer for the similiar questions and did not skip them. All in all, I thought it was very interesting and give TM props for doing this for us. I would like to see the other big names do the same as TM. I suggest you go back and read the Q's and A's. 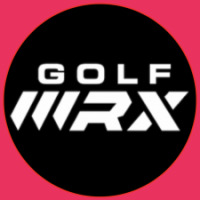 There was nothing "new" discussed that hasn't been discussed all over the GolfWRX Forum. Most questions could have been answered by browsing TM's website. Humor me... which of the questions do you consider "great"? The questions answered were of value to those who asked, and I am sure it was "new" info for them. Two of my questions were answered, and I would rather have a TM rep answering then browse the forums or a webpage. Perhaps you did not get a chance to ask a question, but it certianly was not a joke or a waste of time for others. This was a nice gesture for TM to do this for us and I hope they feel welcome to come back and do another. I would even like to see other manuf do the same. I thought it was fine and that while they weren't completely open about everything they answered as best as they could. They weren't going to come out and tell us what driver they were planning to roll out in 2010 or what irons were going to be available in 2011. I think one thing that is overlooked here, is that while there are hundreds of members at Golfwrx that want TM forged irons, there are millions of consumers that don't care. As a company trying to survive, who are you going to cater to? The same thing goes for the "B" heads, these are custom to each players wants and needs. It isn't in TM's financial interest to make them available to the 250 or so people outside of the tour that want them. I am sure they did what they were instructed to do, answer the questions in a manner that would best represent TM and their interests in the industry. Good points. I guess you're a little more "PC" then I am. I completely agree and that's why I thought it was a waste of time. Most questions were the "probing" kind, trying to get TM to give up what's coming out in 2010-2011. We all knew that wasn't going to happen so why bother asking?!?! Regarding the market for TM Forged Irons... nothing more then a simple business decision made by TM not to offer them in the U.S. Did we really need to have that questioned asked 6 different ways???? The fact that you see "A similar question was asked and answered elsewhere in this chat" used multiple times for an answer clearly shows how poorly moderated this TM Webinar was. For the record, of the 117 questions 17 were answered in this manner. Hopefully, GOLFWRX learns from this and does a better job next time. I agree that some repeat questions could have been filtered out. I didn't participate in the chat as I was occupied, so I don't have any experience with the live event and how questions were submitted. However, it sounds like this was a first time run and things will be worked out in future chats based on the feeback received. I don't like the fact that half of the questions they answered with, "a similar question was asked and answered elsewhere in the chat," were in fact NOT answered elsewhere. My question about the Winn USA Flag grip is not a Winn Medalist. It was a tour only type Winn with Cameron-headcover-esque dancing flags ala the 911 mini flag covers. It was the sweatest grip I've ever seen. The TM guy showing the putter off hid it as soon as he saw my camera and I never got a shot... Oh well. It is lost in my golf dreams I guess. The questions came from the Audience and TM answered all questions submitted. It had to go through several layers of review before making them public. The participants in the Chat are the voice of TM. We would have liked it to be more interactive but, this is a start.